Neon Crab Tattoos & Piercing is once again set to run our annual cancer fundraising event. This year, however we joining forces with Childcan to support the many wonderful programs they facilitate to support children and families in our community. So if you have been wanting to get a cancer ribbon to raise awareness and support a loved one, then Saturday September 22nd is the day to do it!! 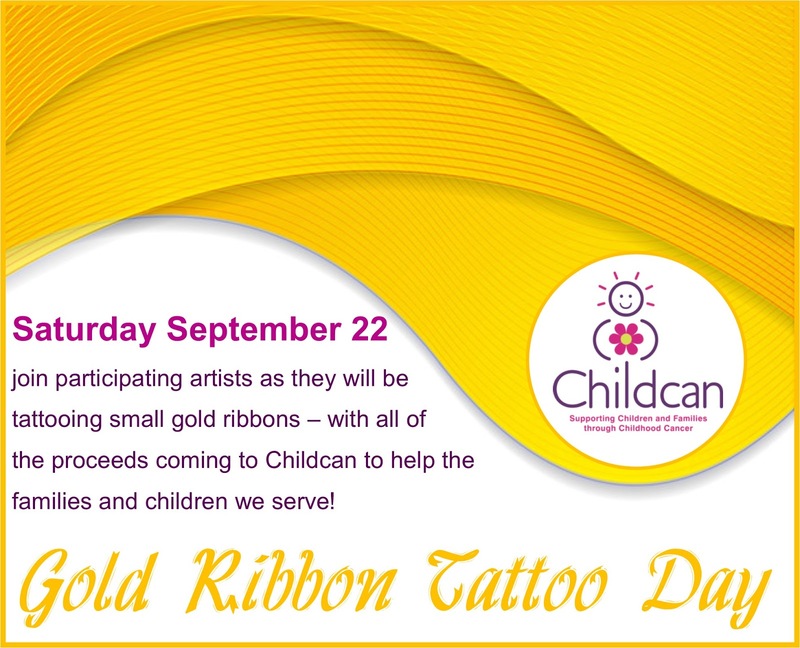 Gold ribbon tattoos will be $100 each, and there will be a number of designs to choose from. We'll be doing it all day from open to close, on a first come, first served basis. We'll see you all there on the 22nd, to raise awareness and funds for the amazing cause....because no child should have to face cancer alone!